Eastdale Mall in Montgomery Alabama 1977-78. The mall was brand new and had an Aladdin's Castle arcade inside. I had recently seen my first arcade cabinets at the 7-11 that was around the corner from my Dad's State Farm Insurance office. I was 7 years old and videogames were new to me and in many ways new to the public. The very first time my Mother and I walked into that place the sights and sounds were euphoric, to say the least. Anyway, there was a game that was based on WWI airplanes and I don't recall what it was called. The cabinet was red and it had a blinking red light on top like you would see on a water tower or similar structure. It had a silver bar that pressed forward to fire your machine guns like many of the planes of that era had. Two simple lights would meet together on the screen and that represented your tracer fire. Now the game had no computer graphics of any kind but a film would roll with basic drawn pictures of various kinds of WWI fighters. The game had a large joystick that you would use to slide the picture that was in front of you into your tracer fire. If you kept the plane in front of your tracer fire long enough the picture suddenly changed into a flaming aircraft. It had the sounds for the machine guns and planes. It also had the sound of the injured plane that was spinning out of control. Oh my first "favorite" arcade game was definitely Space Invaders. But prior to that.. I just recall playing the various B&W games like Sea Wolf, or Pong, or Electromechanical games. I was too young to play them consistently.. it was only with my parents and we did it all together or something. The one that sticks out in my mind though is Killer Shark.. which (thankfully) was shown in the movie Jaws so I can remember the name and reference it. I just remember my dad holding me up and trying to shoot the shark and the red blood when you shot it. I guess that memory would make it count as a 1st fav. Yeah, I remember that Killer Shark game too. Wasn't Sea Wolf the game with the periscope? If it was I remember playing it at a drug store my Mother use to go to. The sound of the torpedo launching and some of the boats especially that little PT boat that was so fast. Remember that many of the games only gave you 60 seconds to play! They had a timer at the top of the screen. I remember the old west gunfight game did that. Edited by bigfriendly, Thu Nov 15, 2018 8:31 PM. My first experiences of arcade games was in books...at least the popular ones. All the local pizza jointa and what not had kinda obscure games, nothing I would think to be a favorite. I just loved them all, if I ever got to see one in the wild. This may sound strange coming from a guy whose first memory of an arcade gamr was Asteroids, but the first 'fave' I can remember...that I actually went out of my way to play and would always get my quarters first? Sega Quartet! I still get the feels from that soundtrack, lol. 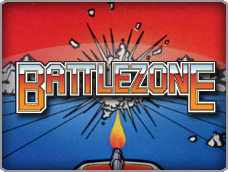 Yes, Battlezone was fun. Once I figured out how to destroy those missiles I could definitely get my .25 worth. Oh heck no, you can't just drop a nuke like that and split. 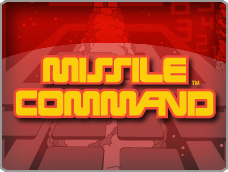 I've been playing that game on and off for over 35 years and have NEVER figured out how to destroy the missiles. Avoid yes, destroy no. You must, you must share your knowledge!! Definitely Ms. Pac-Man, although I played it on one of those Plug and Play systems I got when I was a kid rather than an arcade machine. Funnily enough, during the first couple of plays, I didn't know that you could eat the ghosts after eating a power pellet, which was something I figured out accidentally. I also remember playing Galaga so much that I got pretty good at it. The first couple are easy since they go straight.. you just pull back and shoot them square. When they start to zig zag that's when it gets hard.. you have to zig zag kinda along with them moving your sights left & right quickly in the same quick rhythm as them (while pulling back) and that confuses them enough so they don't predict and dodge your shot.. then you have to just quickly square them up and hopefully shoot them. Edited by NE146, Thu Nov 15, 2018 11:27 PM. I had pacman fever. Definitely the 1st favorite. When mspacman was released, I remember going across town with a friend to a theater, where we played the first machine available in our area. In later years, I dumped a fair share of quarters into galaga, donkey kong and centipede. Towards the late 80s, I thought Road Blasters was really cool. StarWars was also in my top five. Immediately when you see the missile put your tank into straight reverse. It buys you a little bit of time and distance then you can destroy the missile at point blank range. Once I figured that out my score per game went up considerably. I'll give that a shot next time I have enough time to play. Thanks. I remember playing that game a few times at the bowling alley when I was a much, much younger. As much as I love arcade games (80s arcade games are by far my favorite form of video gaming) I haven't a clue what was the first arcade game I ever played. I was just too young and can't remember. I know the first video game of any kind I ever played was Atari 2600 Space Invaders, and I do remember the first time I was taken to a proper arcade for the strict purpose of playing multiple games, but all I remember is the impression of the experience, not what games I actually saw or played. I was only 5 years old so my first game was probably Ms. Pac-Man or Frogger or something like that... but who knows. It wasn't until I got a bit older and could ride my bike around to different local haunts without a parental chaperone that I really started to branch out from Atari 2600 to arcade games. Kung Fu Master was probably my first "favorite" from those days. Asteroids at the local 7-11, followed quickly by Defender. When I was 11 years old in 1981 my Mom took my Brother and me to Disneyworld in Orlando. In the Disneyworld Hotel, they had a HUGE arcade! Against one of the walls, they had a row of driving games that looked similar to that. Above the machines on the wall was a display that was supposed to tell who was winning. In other words, you could play against the other drivers at the other machines. Did it really work? I don't know but my 11 year old mind was blown! On my 7th birthday, my parents took me to an arcade because I kept bugging my mom for a quarter everytime I pass an arcade machine (even at other locations). I'll say Frogger was my 1st favorite since I liked frogs as a kid, and that Crazy Kong was hard AF. Monaco GP at an arcade in the mall we used to go to to see movies. The arcade was right by the mall entrance and every time we went I'd ask for a quarter to play. I believe mine was also Lunar Lander. I remember my brother, who was 17 at the time while I was 7, absolutely loved it and definitely introduced me to it. The only earlier game it could have been was Space Invaders, but I think I actually played that later once I was playing arcade games on my own. I don't have any memory of playing that with my brother, so I must have been a little older. 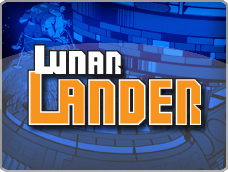 Lunar Lander, though, I pretty much *only* remember playing with him. He'd go seeking it out, wherever we were. And if we ever passed by it, we had to stop and play it. I can remember my first favorite arcade game. It was 1989 at Chuck E Cheeses in Syracuse, NY. My parents took me there for a afternoon of subpar pizza and arcade games. Obviously as a child, I did not know the pizza was not great. I remember they had a area towards the back that had many arcade machines you could play. It was then I saw it, Mario Bros. the arcade game. At the time, this confused poor little me, I remember thinking I have Super Mario Bros on Nintendo, so what the heck is this. I looked at the copyright date during the demo mode.. 1982 geez. I popped a quarter in and got that classical musical number with a demo of how to beat the shellcreepers. I started to play this simple and fun game. It was one of those games you could have fun because as a 7 year old kid, even I could figure it out. The animations were well beyond what Nintendo could do. It lost track of time, I played it so much. In 1995, I spent 3 years trying to track down Mario Bros. for NES. I tried every video game store in my city. I found the Nes version at a flea market for a whopping $5 dollars. I turned on my nes and it was the same Mario bros as the arcade. By this time, I used to arcade to nes ports being ok but not awesome. I noticed the changes: smaller sprites, the turtles went on a diet, Mario must have worked out because he was not chunky... etc. Still, I enjoyed it and come to find out, it is not a easy to find game, even before the retro madness swept the nation. It will always be my favorite arcade game. Small side story time :-) in 2001 I discovered mame at college, at the time I had a prebuilt generic windows 98se computer with a 1.5 gigahertz processor. At the time, you could go to www.mame.dk and download any mame roms you wanted. Man I miss that website. I quickly learned that parents roms were different from the other roms. You needed the parent version roms of a game for it to work. I thought, I wonder if Mario Bros will work, I downloaded the sound sample and then the game. I fired it up and then the title screen scrolled down into view. At this point when I was home, I yelled "yay! frickin Mario Bros!" I was so happy. Then this became a search mission for arkanoid, and teenage mutant ninja turtles, and wwf wrestlefest. The best part was when I told my friends I have the real teenage mutant ninja turtles arcade game on my computer, no one believed me. Until they all gathered around my computer and they heard "cowabunga!" and everyone just stared at the computer monitor as if god was talking to them lol.